Georgian adventures continue at the Okatse Canyon near the village of Gordi in the country's west. "This area close to Kutaisi is famous for its deep canyons, forest lakes and other fascinating natural attractions," said Euronews reporter Denis Loctier, trying out a new footpath with vertiginous views. "The thrill of walking over the canyon attracts many visitors," Okatse Canyon Director Zaza Gagua told us. "This is the only place in Georgia where you can really feel this, so it's not often that people are so frightened that they turn back!" 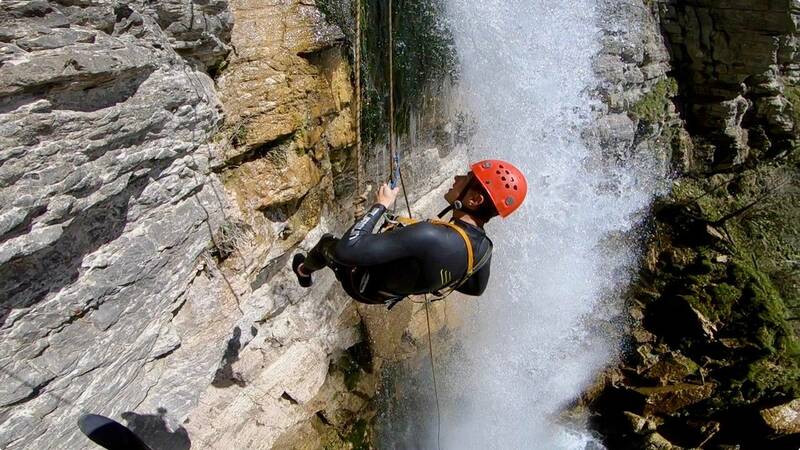 And if you're a true adrenaline junkie, you can test yourself by rappelling down Kinchkha, one of Georgia's tallest waterfalls, with its refreshing cascade of clear mountain water.